Show some saucy love with our Milky gift cards! Juicy burgers and over-the-top desserts meet amazing cocktails in a one-of-a-kind iconic institution. Milky Lane’s been shaking up the burger scene since 2016, and won a legion of fans for our take on good times. The only thing as big as our passion for great food is our love of hip-hop. That’s why every one of our stores has a strong urban vibe, with show-stopping artwork and local DJs keeping the beats going until late. You’ve seen us on Instagram, now come share the experience for real. 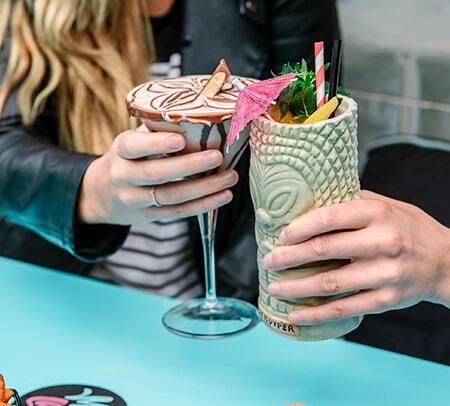 With new Milky Lane’s on the way, it’s never been easier to get your crew together, grab a great burger and make a night of it.